There are some 54 international airlines serving South Africa, including many of the top European and British carriers like British Airways, Virgin, KLM, Lufthansa, Iberia, and Air France, plus, of course South African Airways. Many of these service the North America to South Africa run as well as a code share basis. Direct flights between the United States and South Africa are offered by South African Airways, to and from Atlanta and New York. South African Airways also flies to and from Sao Paulo, Brazil, with connection flights to anywhere in South America. Several major international airlines (including SAA) serve South Africa from the Middle East (El Al from Israel and Emirates from the Arabian Gulf), the Far East and South East Asia (Malaysian Airlines, Singapore Airlines and Cathay Pacific) and Australasia (Quantas and Air New Zealand). South Africa is also considered the gateway to Africa, with flights between here and ports of call throughout the rest of the continent on a daily basis, with several African airlines, including South African Airways. Duty free allowances into South Africa are 400 cigarettes, 50 cigars, 250 grams cigarette or pipe tobacco, 2 liters of wine, 1 liter of spirits, 50 ml perfume, 250 ml eau de toilette, and gifts, souvenirs and other goods up to the value of R500. There are duty free shops in all major international airports and some land border crossings points. As far as immigration is concerned, obviously a valid passport is needed. Also check before leaving home about visa requirements, particularly a multi-entry visa if you intend visiting neighbouring countries. Generally speaking, no special vaccinations or inoculations are required coming into South Africa, but check before leaving home in case you may be coming from a high risk area (Cholera or yellow fever, for example). Also if you will be traveling from South Africa to a high risk area in Africa, check to make sure you have the proper inoculations to come back into the country. Check as well before leaving home about foot and mouth disease (there have been outbreaks) and special customs regulations. Malaria is prevalent in some parts of the country, particularly where hunters are likely to go, so again, check with your hunting outfitter before leaving home whether prophylactics are needed and if they are, which ones. Tap water is safe throughout most of the country, but some visitors prefer to drink the many excellent local bottled or imported mineral waters that are readily available. The African sun can be dangerous, so wear a hat and use the right sun block. The British Airways Travel Clinic in Johannesburg (+27 11 807 3132) is always a useful source of traveler’s health information. The current is 220/240 volts and it is recommended that adapter plugs be used for electrical appliances. The South African currency is the Rand. It is divided into 100 cents. Rand notes come in R200, R100, R50, R20, R10 while coins come in R5, R2, R1, 50c, 20c, 10c, 5c, 2c and 1c. The 2c and 1c coins are soon to be phased out. It is advisable, as it is anywhere in the world, to use traveler’s cheques as far as possible and not to carry large amounts of cash. All major traveller’s cheques are widely exchangeable, including American Express and Thomas Cook. All major credit cards are also usable, including American Express, MasterCard and Visa. Most major banks exchange traveller’s cheques or cash, ATMs (Automatic Teller machines) are virtually everywhere for credit card use, and there are Bureaux de Change in all airports and major centres. Remember that the South African Rand is a fairly volatile currency and the exchange rate tends to change on a daily basis. Crime and security in South Africa are much debated both locally and by the international media. The rule of thumb here - as it is anywhere else in the world that does not have a crime record – is be careful. Here are some safety hints, via the South African Police Service. Like anywhere else, there are hot spots. If planning an excursion from your hotel, check with reception if your route and destination are considered safe; ask about taxis and only use official services; keep valuables locked in your room safe or at reception; do not flash large amounts of cash, credit cards, cameras and the usual tourist trappings; do not take your hotel key out with you; do not leave bags and packages unattended, ever; in taxis or hired vehicles keep the windows closed and the doors locked in urban areas; particularly keep an eye out at traffic intersections; do not leave anything in view on vehicle seats and always park in secure areas; never pick up strangers; be careful of people approaching the vehicle; be careful of anyone approaching you in the street, too. As we said in the beginning, just be careful. If you have a problem, report the situation to your hotel reception who will advise you and perhaps direct you to the nearest police station. The police emergency number is 10111, and that applies to any emergency. Travel insurance is always a good idea, for yourself and your belongings, as well as for delays and cancellations and other unexpected situations. Medical insurance is also a good idea, particularly if you are going to be in remote bush areas. Most countries around the world have diplomatic representation in South Africa at one level or another. To check who is where, call the Department of Foreign Affairs in Pretoria (011 351 1000), or check under Consular in the local telephone directory. South Africa is linked to most countries around the world by direct dialing. Hotels levy a surcharge on telephone calls. There are public telephones in post offices, on the streets and in shipping centres (look out for the blue stands) and in many corner cafes, in fact just about anywhere. Public telephones take coins or cards, which can be purchased at post offices and certain other outlets. Cards can be used for both local and international calls. Cellular telephones can be hired at all major airports and at other outlets. Satellite telephones are also available for hire. South Africa’s international code is 27. To call out of the country precede all numbers with 09. South Africa’s culinary tradition reflects its richness as a melting pot of cultures, and the Rainbow Nation lives up to its name when it comes to international eateries. Apart from the resident ethnic varieties – African, Cape Malay and Cape Dutch, Indian, Chinese, Italian and Portuguese perhaps being the most common – there are restaurants representing every corner of the world, perhaps some of the more exotic being Cajun en Creole, Indonesian, Malaysian, Thai, Vietnamese, Korean, Russian, Turkish, Greek and even Californian. Again, ask your hotel reception or consult the local newspaper. There are also the usual chains of fast food outlets, for eating in or out. As far as drinks are concerned, South Africa is deservedly renowned for its natural fruit juices, but for the more serious stuff there is a staggering range. Beers feature the local lagers, good for quaffing in the bush, as well as some excellent boutique brewery ales after the English or Irish style, and then a full range of imported beers. As far as spirits are concerned there are many excellent local spirits and liqueurs – try locally produced cane spirit or white rum – as well as your favourite imported bourbon, cognac or whisky. South African wines are excellent, from champagne-type sparkling wine, through the full range of whites to rich reds and fortified wines like sherry and port, including some excellent South African specialties. South Africa has a wide range of climate zones, although generally it may be considered to have a moderate climate. The region is classified as a semiarid zone, which means an average annual rainfall of 464 mm - most of that falling in the southern summer months of October to March. Depending on the location, temperatures may range from several degrees below freezing in winter to the high 30s (centigrade) or even low 40s in summer. The high interior tends to be moderate. The eastern seaboard of KwaZulu-Natal is sub-tropical; the western seaboard is dry and rugged, while the south-western Cape has what is described as a Mediterranean climate. Generally speaking, the old slogan, ‘Come to Sunny South Africa’ holds. We will supply you with a Temporary Firearm Import Application – SAP 520 which must be completed before arrival in South Africa. This is recommended if possible to help streamline the entry process. The form however can be filled out on arrival. The form must be completed in black ink and left unsigned until the document is finalized in front of the police official issuing the actual permit at the airport. 2. Form must be left unsigned until the document is finalized in front of the police official issuing the actual permit. o Section J: Remember do not sign until in front of police officer at firearm office. 3. Proof of Ownership, i.e. firearm licenses, etc. To preclude any problems on arrival, please make sure you have proof of ownership by the way of a gun license, customs declaration letter from the country of origin, etc. For USA Citizens, Custom Declaration Form 4457 (officially stamped) is acceptable. 4. Proof of Export: Documentary proof of export from the country of origin. 5. Motivation Letter from yourself stating that you are temporarily importing the referred firearm/s for the purpose of hunting state the list of species to be hunted as well. 6. 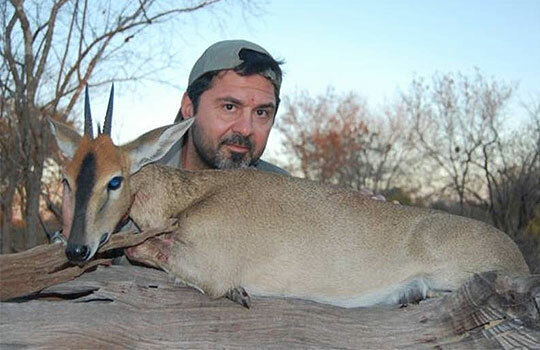 Invitation Letter from Jabula Safaris (Hunting outfitter): The letter will state the following: Company name and details, name of your outfitter, as well as addresses and contact telephone numbers in South Africa of where you will be staying/hunting during the course of your hunt and confirmation that the applicant will be using the specific firearms as applied for. This information is necessary for the actual Temporary Import Permit, as well as if the police need to be in contact for any reason. 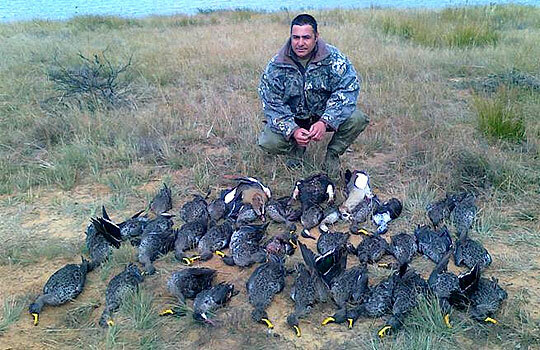 The police are also fully aware of the nature conservation legislation and the fact that a hunt undertaken by a foreign client legally must be organized by a hunting-outfitter. 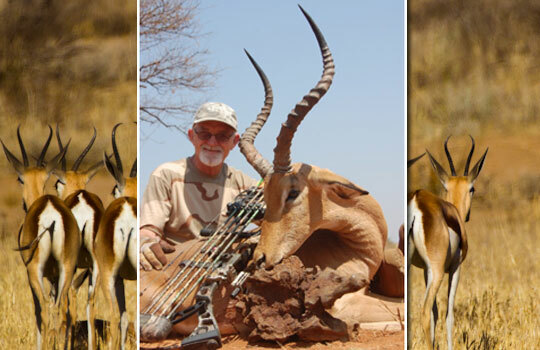 Therefore, if a client cannot produce who his outfitter is and where he will be hunting, it may be presumed he does not have an outfitter and could be hunting illegally in South Africa. In such a case the SAPS may not issue a Temporary Import Permit and hold the visitor’s firearm/s in safekeeping until that person leaves South Africa. Firearms will be physically inspected to ensure the serial numbers match those of the licenses and the application forms. Ammunition will also be inspected, and it is important to note that this ammunition also requires a permit. Please ensure that sufficient time is allowed to go through the temporary importation process and to clear customs. 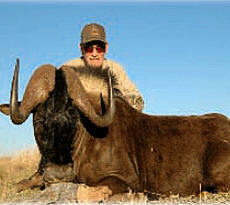 During the busy periods of the hunting season up to seventy clients may be needing permits at the same time. We would therefore recommend at least four hours should be set aside for this procedure. Also, please ensure that your firearms arrive on the same flight as you do. This must be done with the airline company on departure. Your firearm/s may only be signed for by you and will not be released to your outfitter or professional hunter should it/they arrive on a separate flight. In this case, the firearm/s will be held by the SAPS until such time as you claim ownership in person. Please do not pay for any service regarding the handling of a firearm at Johannesburg International Airport, or any port of entry. This is a free service and the South African Police Service asks clients not to pay anybody involved in handling firearms from the time of arrival in South Africa right through until you receive your firearms and the permit from the SAPS. Clients that are paying the various airline company staff or the security company involved are actually creating a problem. Please note however that there is a handling fee charged by airlines and/or security companies for the handling of handguns and some airlines charge a handling fee for all firearms. Temporary Import Permits (SAP520) is issued to the particular person and is not transferable. Temporary Import Permits are issued for a period of 90 or 180 days. When the visitor departs from the country, he MUST take all his firearms as stated on the Import Permit with him. 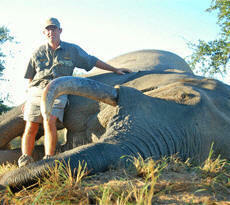 He is not allowed to leave any of the firearms mentioned on the SAP312 in South Africa. Should a firearm not be declared and a temporary import permit not issued, and you proceed through customs without declaring a firearm, you will face severe penalties and possible arrest on departure from South Africa. 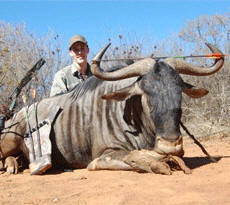 There is no permit required, nor any charge by the South African Police Service for a bow. 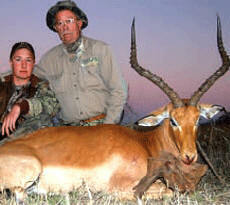 Handling fees are charged by airline and/or security companies for bows and handguns. 1. Clear passport control in the arriving terminal. 2. Proceed to baggage claim at the respective carousel. Pick up general baggage, and then proceed to the respective Airline Help Desk to pick up firearm/s from the Airline Company and sign a receipt for the firearm/s. 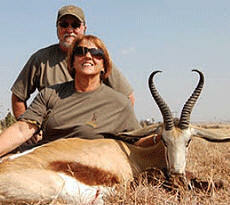 Ask them to direct you to the South African Police Firearm Office. 3. Proceed to the SAP Firearm Office and not to Customs. 4. On receipt of the temporary import permit proceed to Customs, the Red Zone, where you declare the firearm/s and finish other custom clearance procedures. 1. No more than one firearm per calibre and 200 rounds per firearm will be allowed into the country per client. 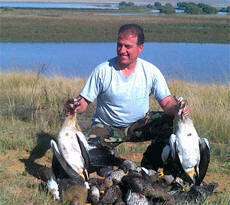 The only exception to this is for shotguns, where more than one shotgun of the same calibre may be allowed for bird hunting purposes if the client produces on arrival at the South African Police Gun Office an acceptable written motivation as to why he/she requires more than one shotgun of the same calibre. 2. 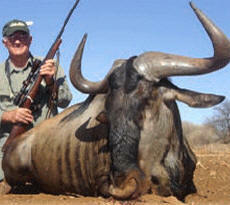 Permits will only be issued for ammunition which is accompanied by a firearm of the same calibre. 3. Temporary Import Permits will not be issued for anyone under the age of 21. 5. Strict control on automatic and semi-automatic firearms is enforced. This will affect clients wanting to bring in semi-automatic shotguns on temporary import permits. The latest requirement that is in effect is that no temporary import permit will be issued for a semi-automatic shotgun unless an application is made 21 days in advance together with a motivational letter as to why the shotgun is needed. The application must be made through the Central Firearms Registry. 6. Handguns will only be allowed for hunting purposes and must be accompanied by a letter from an association in the country of origin, stating that the handgun will be used for hunting purposes. 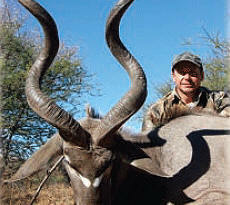 Please check the PHASA Website at www.professionalhunters.co.za for any updates to this information.